When I first saw the art of Philjames I knew I wanted to collaborate with him. 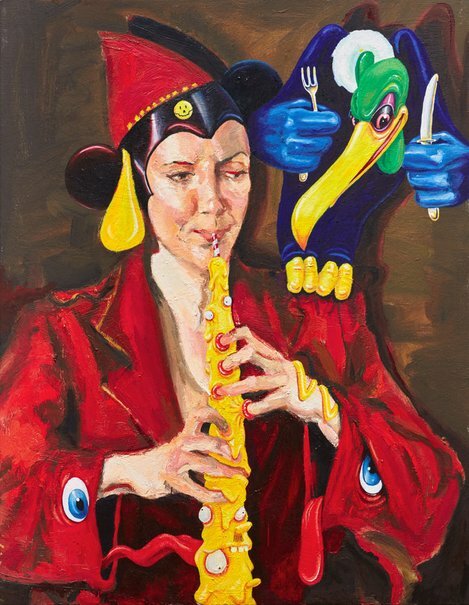 In his work, there is an irreverent vision both hilarious and disturbing. Last waltz at the Doomsday Ball depicts a piper nonchalantly playing as civilisation races towards the precipice.